Our faculty members serve as editors of the following major journals. 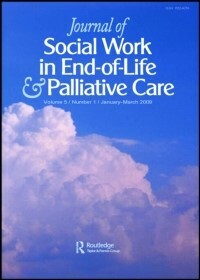 The Journal of Social Work in End-of-Life and Palliative Carepresents research and original articles that explore issues crucial to individuals with serious, life-threatening and life-limiting illnesses and their families, including interdisciplinary interventions, practice innovations, practice evaluations, end-of-life decision-making, grief and bereavement, and ethical and moral issues across the lifespan. 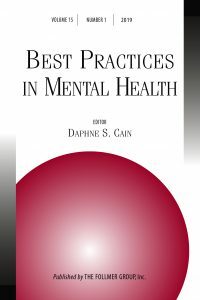 Best Practices in Mental Health is a refereed publication intended for an interdisciplinary audience of mental health practitioners, administrators and scholars. The journal publishes original, practice-focused articles that are in keeping with the best possible evidence about what works in clinical, community and/or organization settings. Each issue includes information on innovative programs, interventions, new research efforts, book reviews, and descriptions and links to relevant websites. The journal seeks to provide readers with an array of articles on topics from the micro application of a single practice intervention. Manuscripts are solicited from the entire mental health community and also invited from other educators, researchers, policy makers and practitioners whose focus is on strengthening the knowledge base of mental health practices.